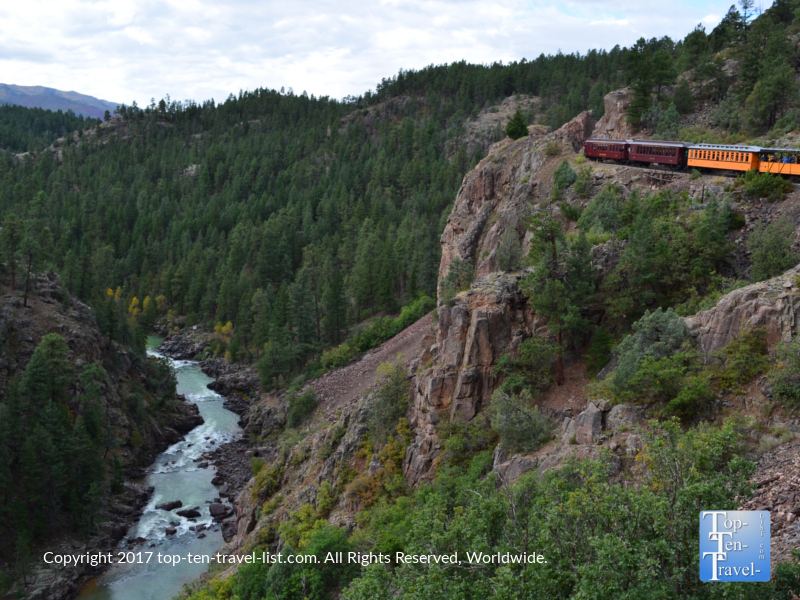 Attraction of the Week: The Durango & Silverton Narrow Gauge Railroad Train - Top Ten Travel Blog | Our experiences traveling throughout the US. 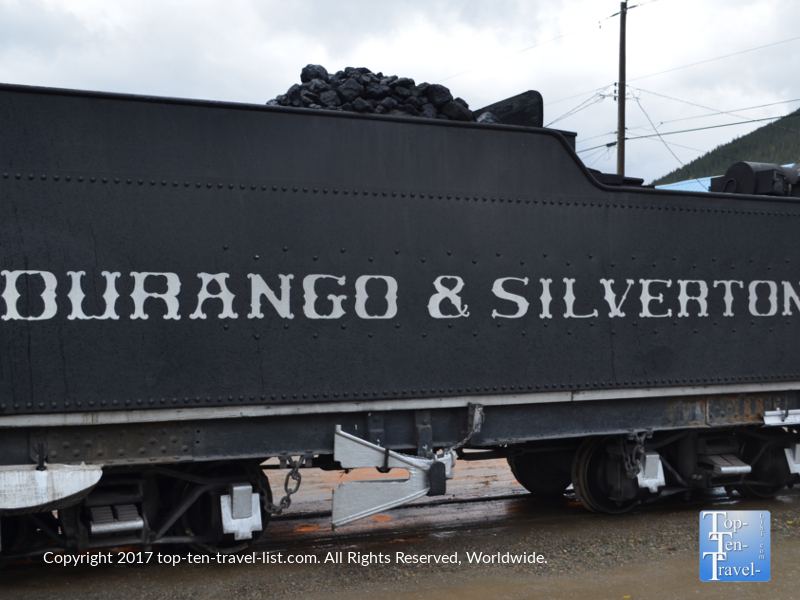 It comes as no surprise that the fantastic Durango & Silverton Narrow Gauge Railroad has been rated as one of the world’s best train rides. 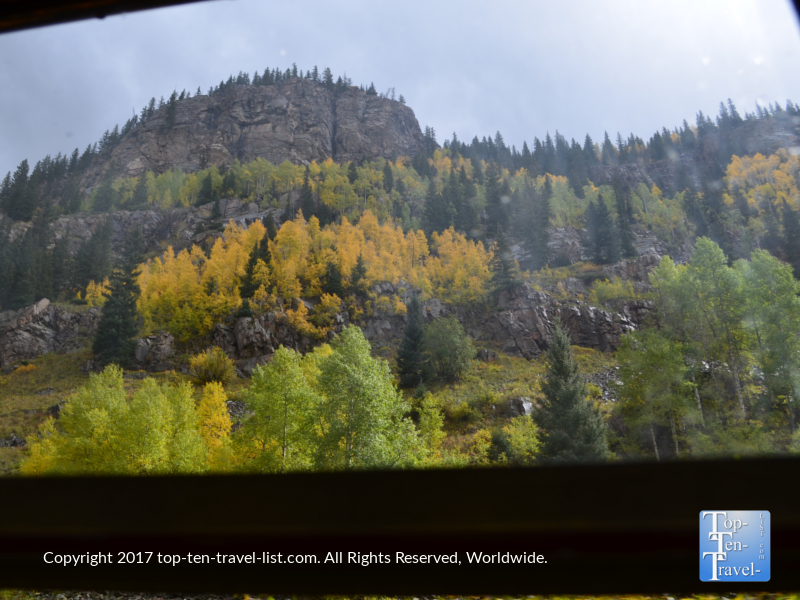 The picturesque journey, which starts in charming ski resort town of Durango and ends in the tiny high altitude town of Silverton, travels through the gorgeous San Juan National Forest, and offers some of the best views you will see in Colorado, or anywhere for the matter. While some touristy activities are overrated, this is definitely one for the bucket list! 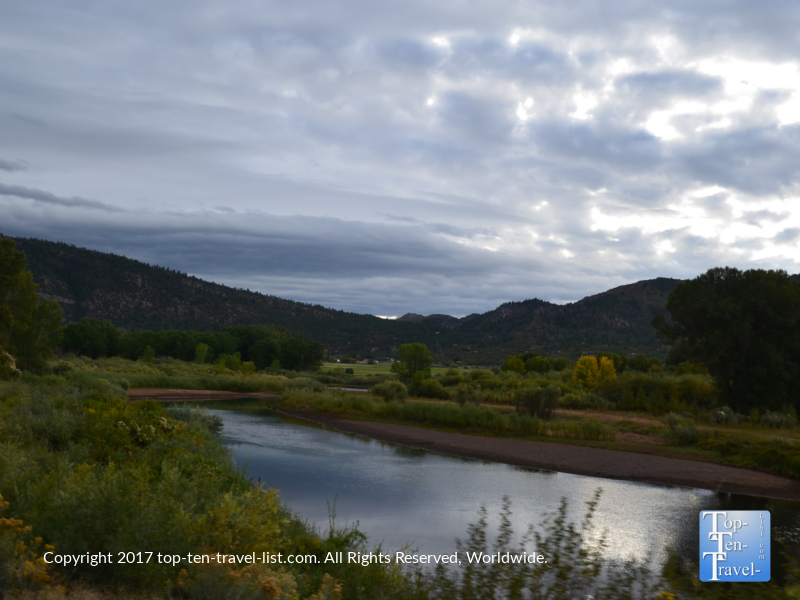 Even if you are not located within a reasonable roadtrip distance from the Southern Colorado region, it is well worth the flight & drive from the Albuquerque airport! Yes, it is that spectacular! 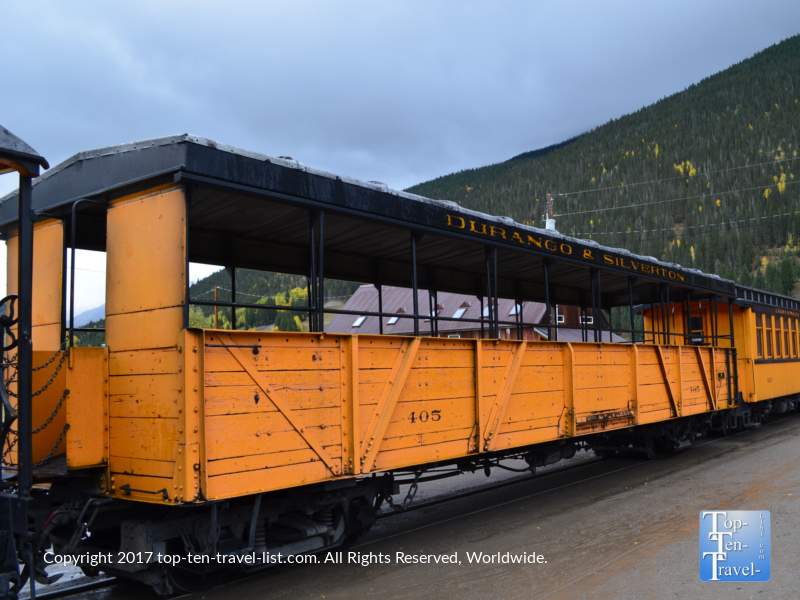 The train has been in continuous operation since 1882, at which time it was originally constructed to transport silver and gold ore from the San Juan Mountains. Not surprisingly, it became much more popular for the outstanding views, and thus, became the popular tourist attraction which still stands strong today. The ride begins in the original depot, located in downtown Durango. Downtown Durango is a charming little place with lots of local restaurants, shops, galleries, and gift shops. Treating yourself to a wonderful local restaurant and browsing around the shops after your ride is a must! 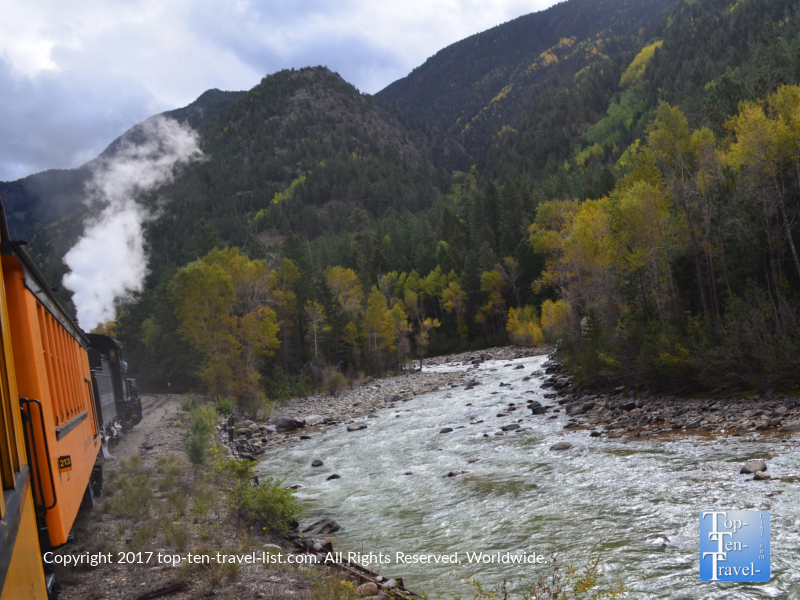 The 45 mile train ride runs a beautiful course along the Animas River, one of the last free flowing rivers in the West. 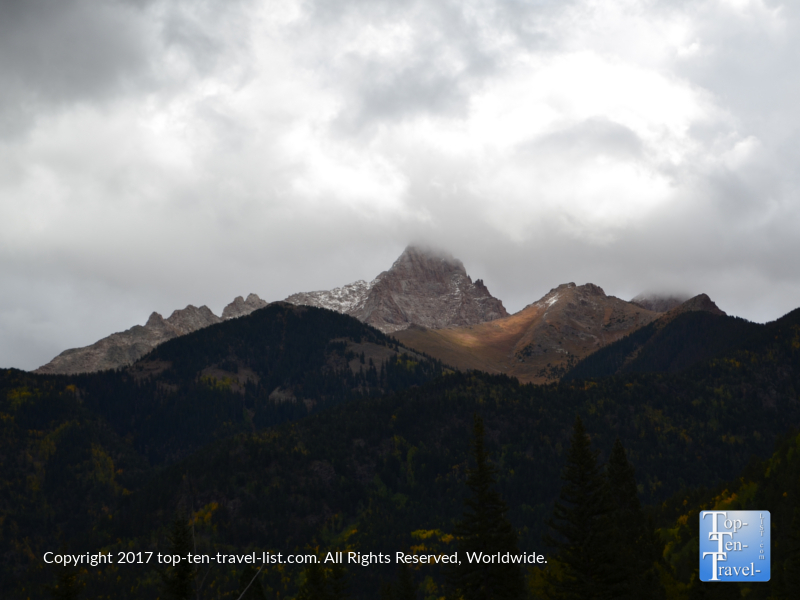 Because of the high elevation of the mountains (the highest are 14,000 ft), the peaks are often covered with snow year-round. 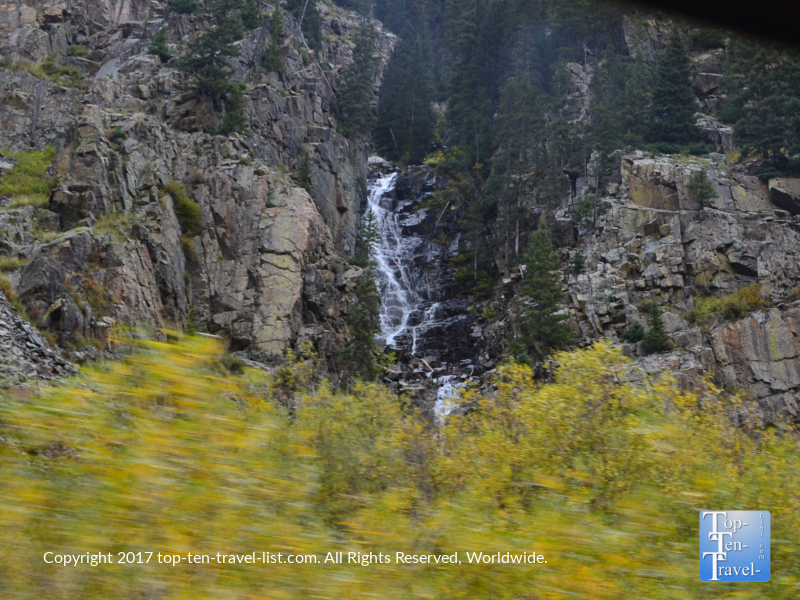 Much of the incredible San Juan National Forest scenery along the way is only accessible via the train, so really it is a great value. 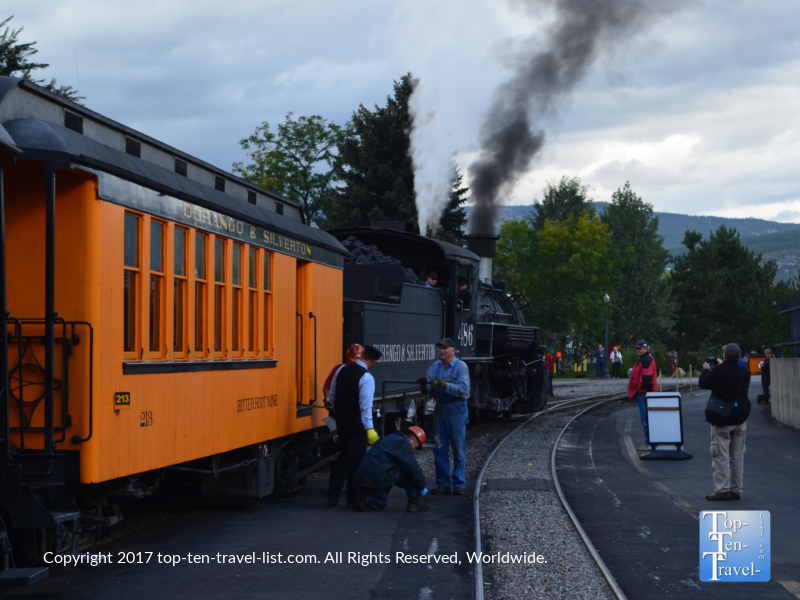 Plus, it is kind of cool to imagine old Western settlers taking the same steam powered train over 100 years ago! 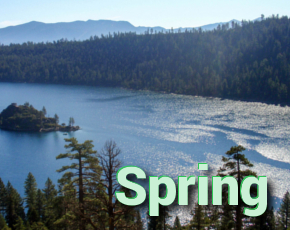 The best part of all is that the train runs year-round, so the views change drastically along with the seasons. 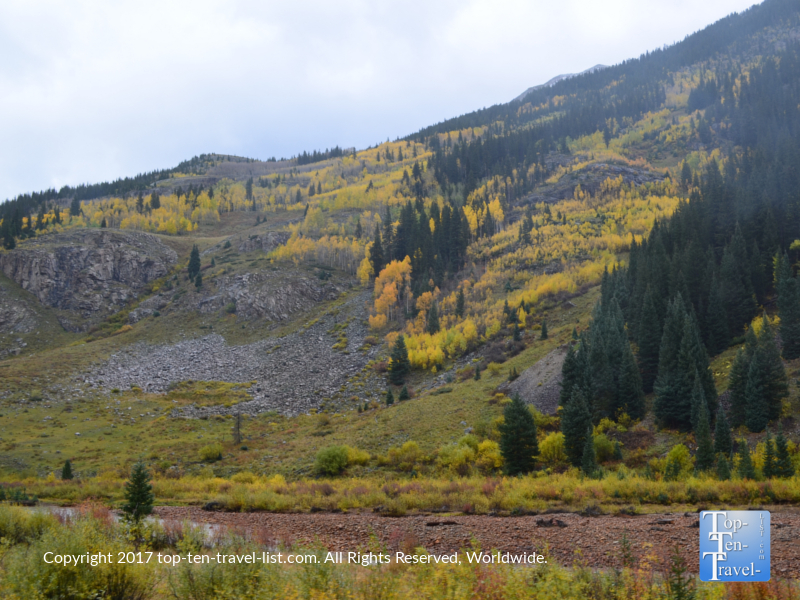 If you happen to be planning a vacation during the fall, you will be treated to some incredible fall foliage near Silverton. Silverton, a former silver mining camp, is now a popular outdoor recreation area. 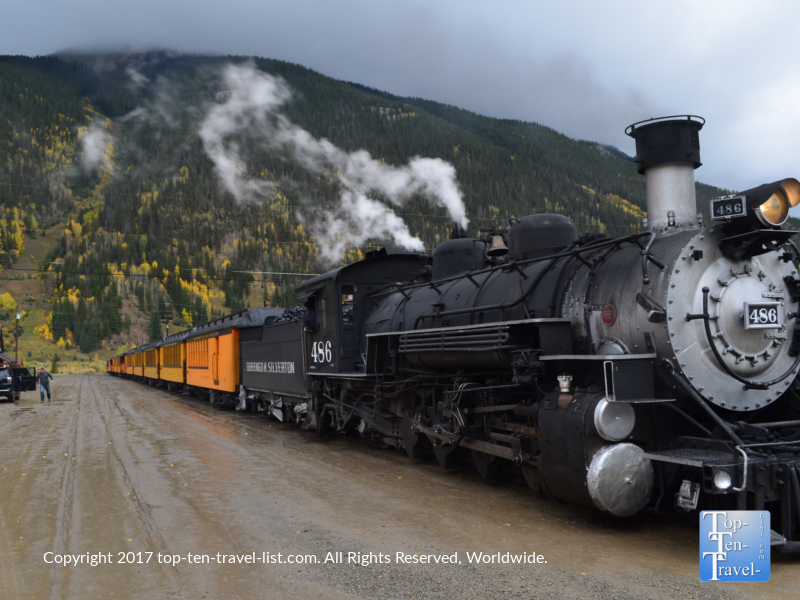 Unfortunately, none of the train rides really stop in Silverton long enough to explore much, so you will have to make a return trip if you would like to check out the ski resort, hiking trails, mountain biking, etc. 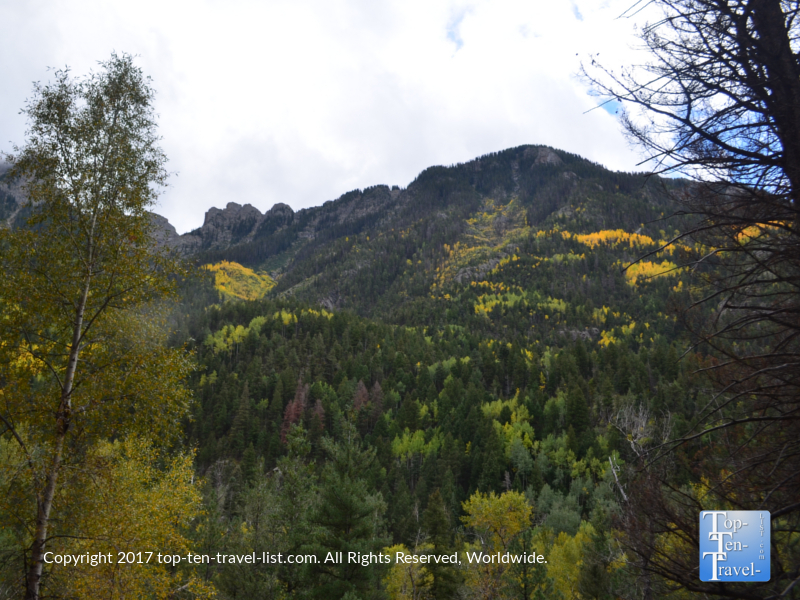 What you will get to enjoy during your visit are the incredible towering mountains views which are just amazing during the fall and winter season. 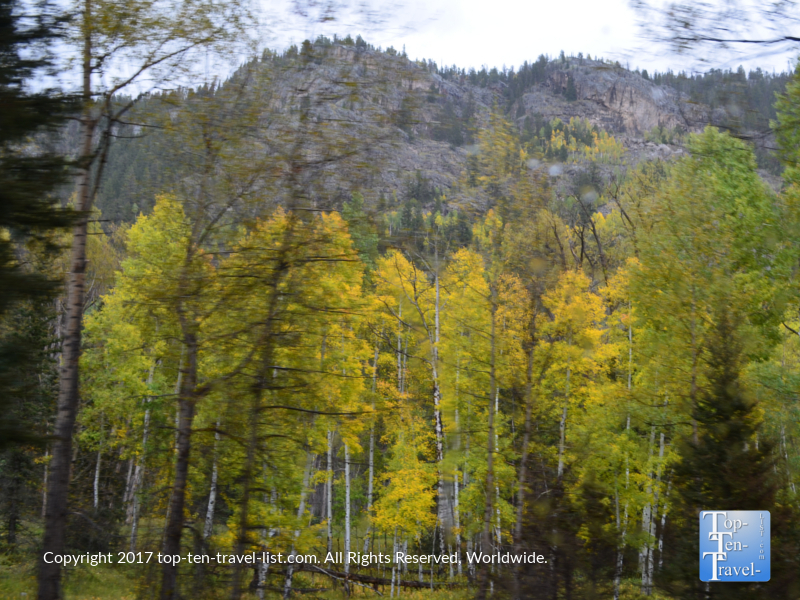 Fall is the most popular time for autumn lovers and photographers as the bright yellow aspens covering the mountains are absolutely stunning. 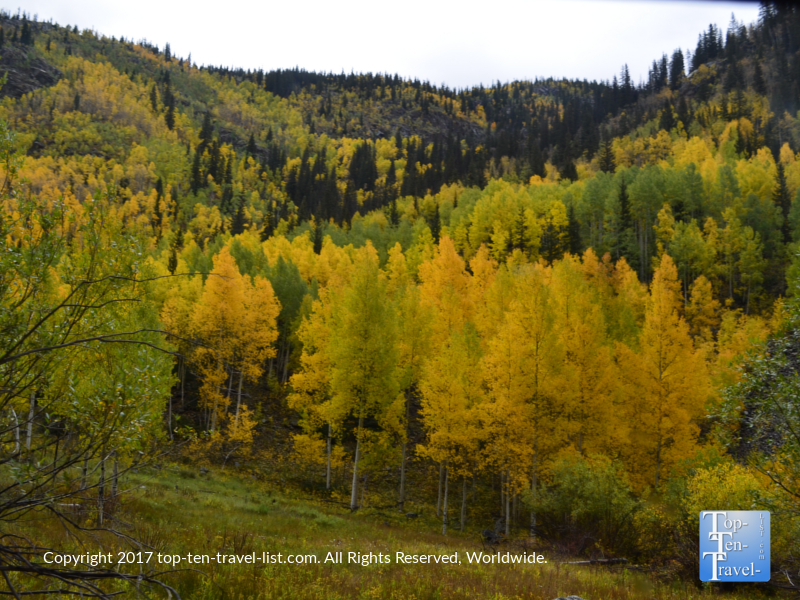 If you have never seen the striking yellow aspen foliage out West, you are in for a real treat! So different from the traditional leaves of the East, but mesmerizing in a completely different way! Keep in mind that in the high elevation cities of Colorado (Silverton is located at 9000+ ft), peak season tends to be much earlier than most of the country, typically by the 2nd or 3rd week of September. Wintertime also offers no shortage of spectacular scenery, and snow lovers in particular, will definitely want to plan a trip during this time. 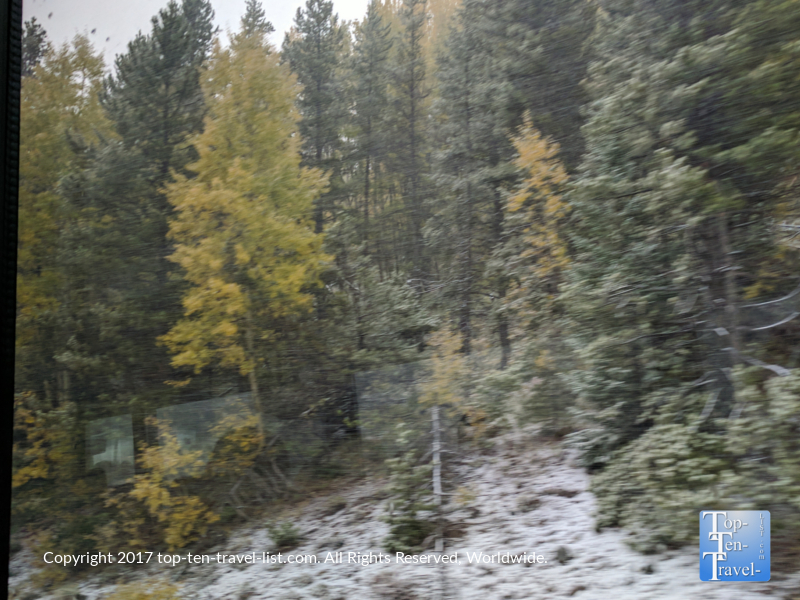 Traveling through the majestic snowy pine covered San Juan National Forest is truly a winter wonderland experience like no other, and thus, this train ride is just perfect for getting into the holiday spirit. If you feel like getting even more festive, you can take a Christmas tree train ride (where you will cut down your own fresh tree) or the festive Polar Express ride based on the children’s classic. Either way, the ride will be fantastic as the snow covered pines and mountains dominate the landscape this time of year. Winter time trips are a bit shorter as the train only goes out 26 miles to Cascade Station. 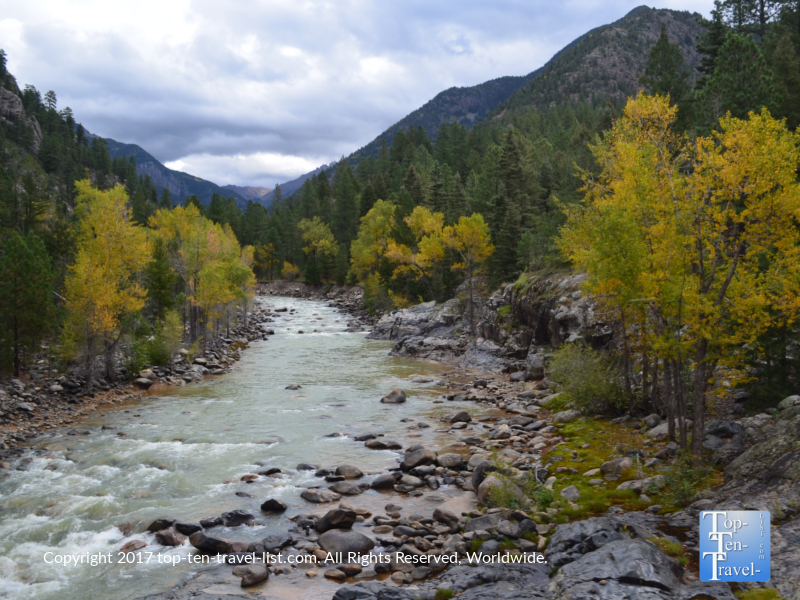 Late fall is a great time as you will get to see a mix of fall foliage and early season snow! A variety of seating options and trips are available. The open air car is most popular and tends to book out in advance, so be sure to plan ahead for this ride. In my opinion, the fall is much to cold for the open seating, especially when you get near Silverton where it can be in the 30’s-40’s already in late September. Seating ranges from standard classic to more luxurious first class rides, complete with extra room and little bonuses like morning pastries and beverages. The luxury cars are a great value as this is a lengthy ride (4 or 8 hours depending on the trip you schedule), although the coach cars are still comfortable and the views are still amazing. The open air gondola is great during the warmer summer season, but a bit too cold for the fall. 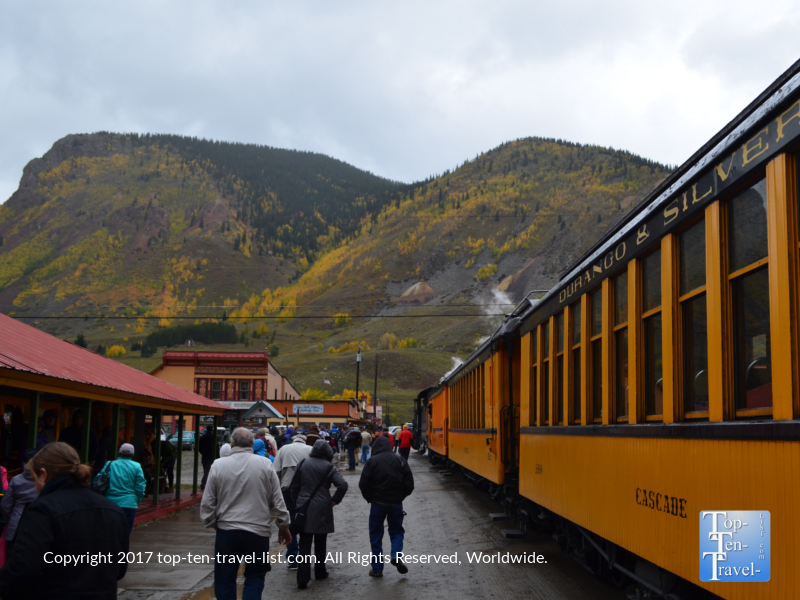 Silverton was in the 30’s during our late September visit! Regular coach car still has giant windows to take in the amazing views! This is one of those rare train rides where the views get bigger and better the entire journey. Although a 3.5+ plus hour train ride may seem like it would get boring, this is absolutely not the case! I could not bring my eyes away from the window the entire time and the hours seemed to rush by in an instant. 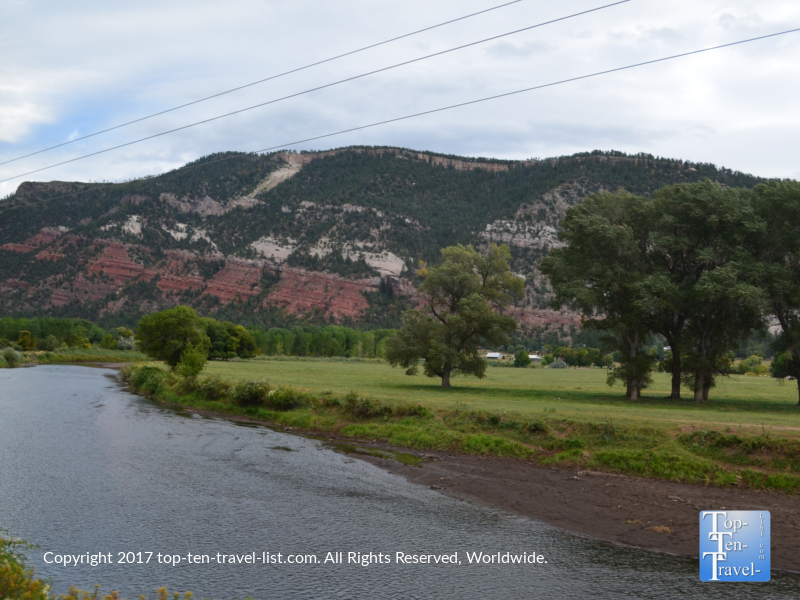 The quaint views of the river and countryside in Durango eventually turn into the dramatic draw dropping vistas of the San Juan mountains. 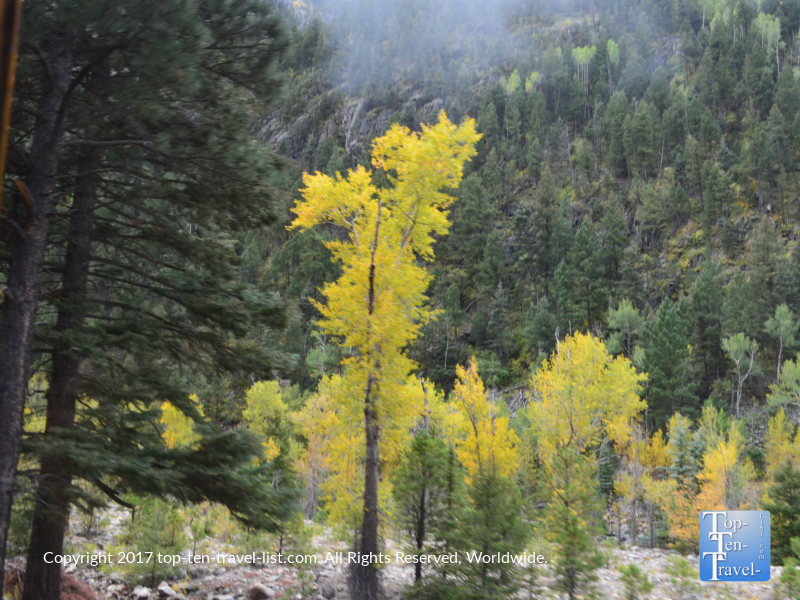 The foliage gets brighter and better the closer you get to Silverton. 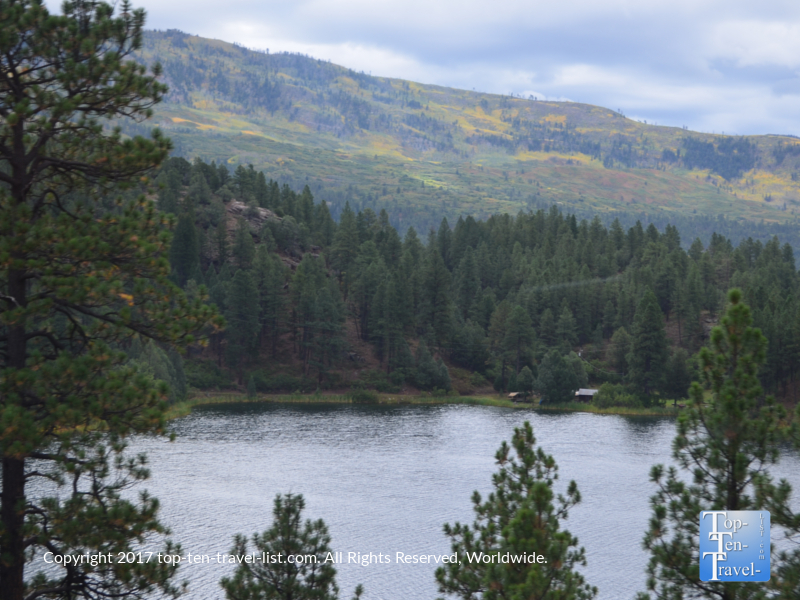 The ride becomes more secluded and rustic and occasionally you may even see some wildlife. Keep your eyes peeled for black bears and mountain lions! All trips require at least a half day time commitment as the shortest option (train plus a bus ride back) is over 6 hours. The full train ride there and back is over 8 hours total. 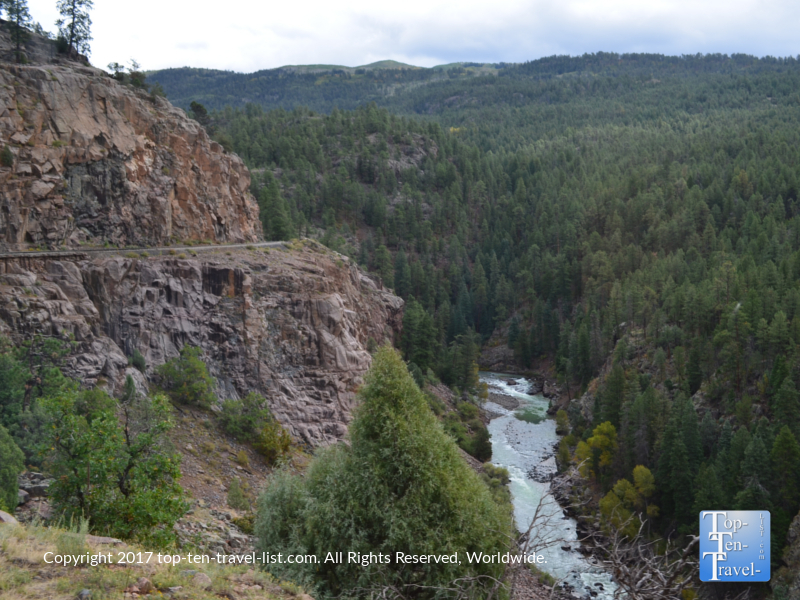 In my opinion the 3.5 hour train ride with a half hour stop in Silverton and a 2 hour bus ride back is plenty enough time to immerse yourself in the gorgeous scenery. This leaves you with more time to explore other attractions in the area. Here’s a full rundown of the different trips and seating options available. Another advantage of the train-bus combo is that you get to see the gorgeous scenery of the 52 mile long San Juan Skyway on the way back as opposed to seeing the same views on the train again. 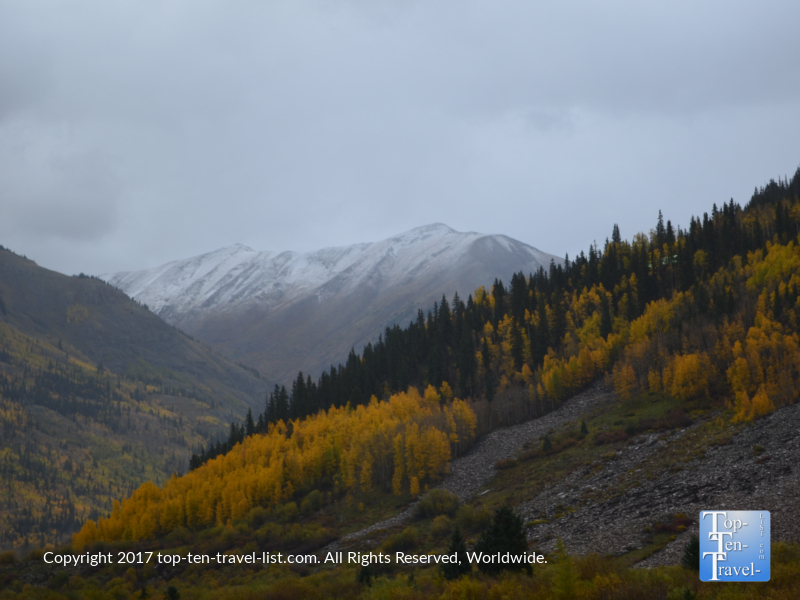 We were lucky enough to see a mix of fall foliage and some early season snow, although it was difficult to take photos as the light snow quickly turned into a pretty intense snowstorm. Our bus guide gave us a wonderful tour of the area and the seating was quite comfortable. Be sure to pack snacks as it could be a lengthy ride down the mountain especially in the case of inclement weather and/or road construction, which in our case turned out to be both which equaled an extra hour. 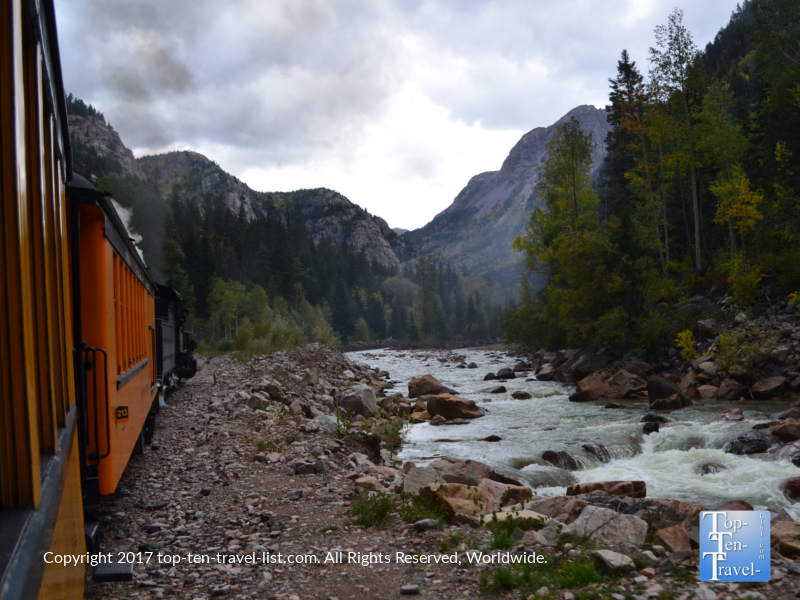 The Durango-Silverton Narrow Gauge train ride is an amazing experience, from start to finish. 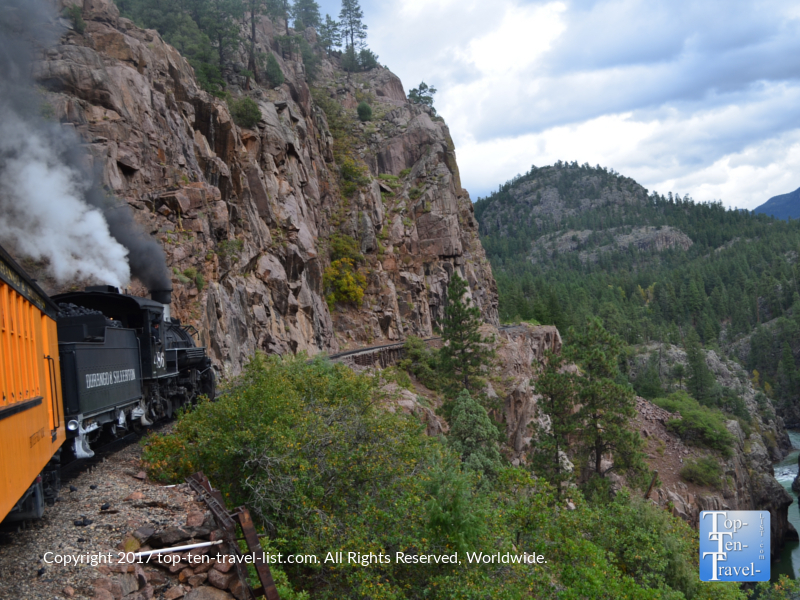 I recommend the ride to any nature lovers, photographers, as well as anyone who loves old-fashioned trains. 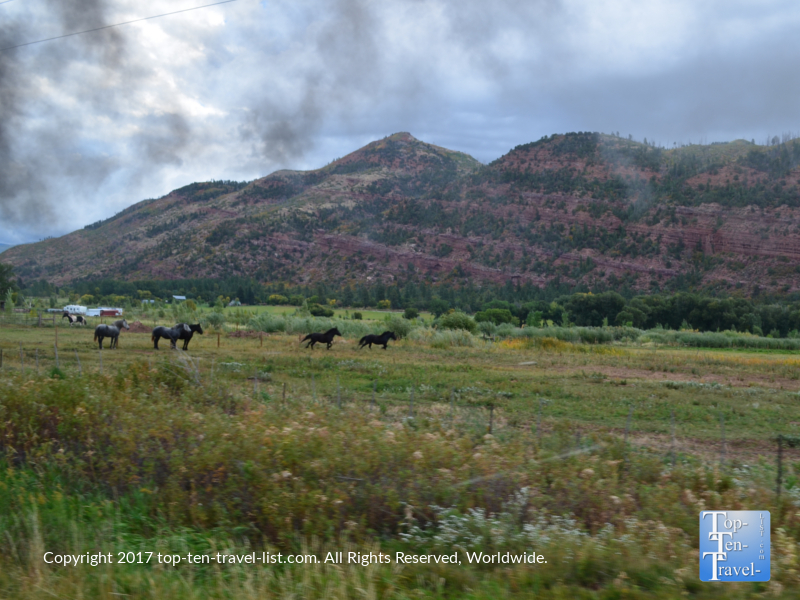 Durango itself is a charming little town with a great ski resort, a thriving historic downtown, and endless opportunities for hiking in a gorgeous natural setting. 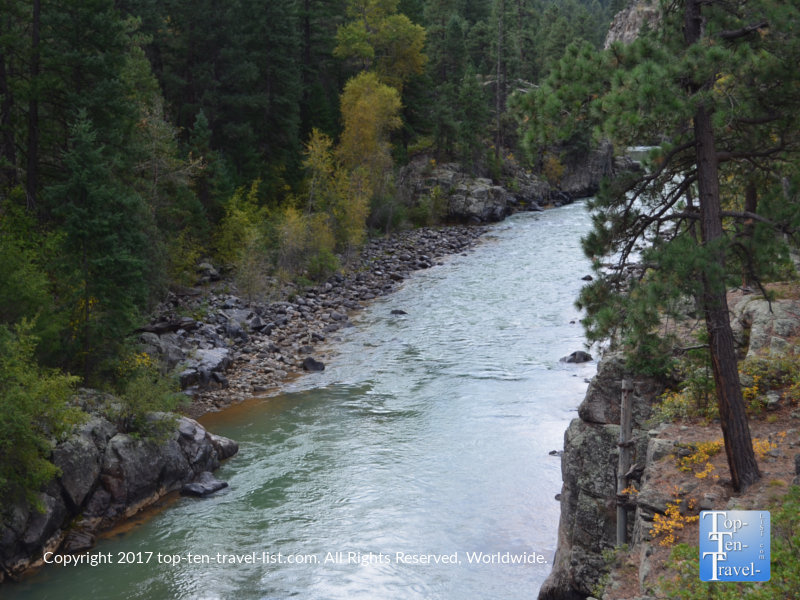 Nearby Pagosa Springs (about an hour’s drive) is also a must visit for a soak in the world’s deepest hot springs. The resort here offers about a dozen mineral loaded pools which have reportedly cured various ailments for decades. Either town is a great place to base your location as you can mix and match activities in both areas. The Durango depot is located at 479 Main Ave, Durango, CO 81301. 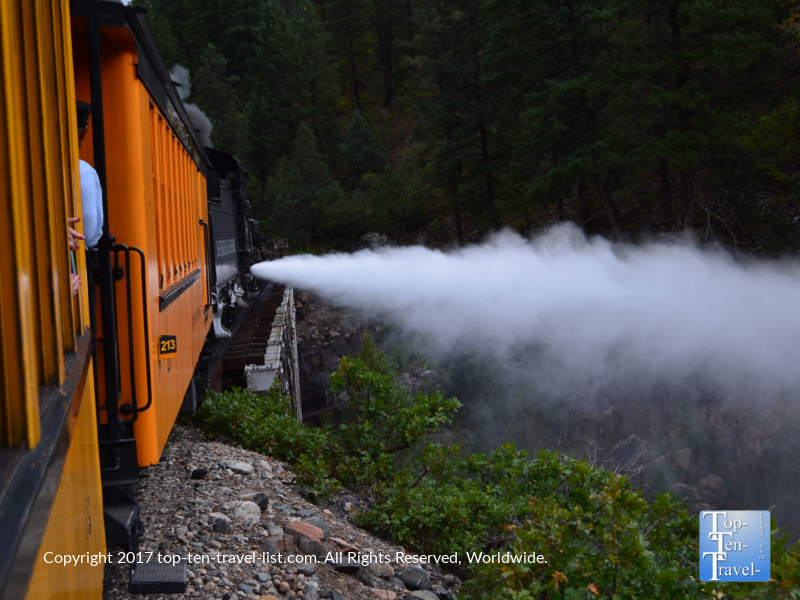 Visit the Durango-Silverton Narrow Gauge Railroad for details on pricing and to book your tickets. *Book your tickets early especially if you want to ride in the open air gondola. *Arrive at least a half hour early for your ride. This will ensure that you have enough time to park your car, use the restroom, purchase a few snacks, and get your tickets. *Bring with a sweater even during the summer. It can get pretty chilly in Silverton. I wish I would have brought my heavy jacket for my fall visit! *Bring with a few light snacks. This is a long ride and there really is not much food available on board. Although you stop in Silverton, there really is not time for a full meal. Considering ordering a boxed lunch. *Bring your camera – there are so many amazing photo opps! *Check the peak fall foliage forecast to avoid dissapiontment. You can call the train’s line or follow the Twitter account. *Eat a full breakfast before the train ride. There are lots of great places in downtown Durango. You will probably be starting after your ride. I recommend the Irish Embassy Pub in downtown Durango – they have delicious fish and chips and the best homemade mac and cheese! *Bring with a bottle of water. Drinking extra water is a must in a dry high altitude climate. 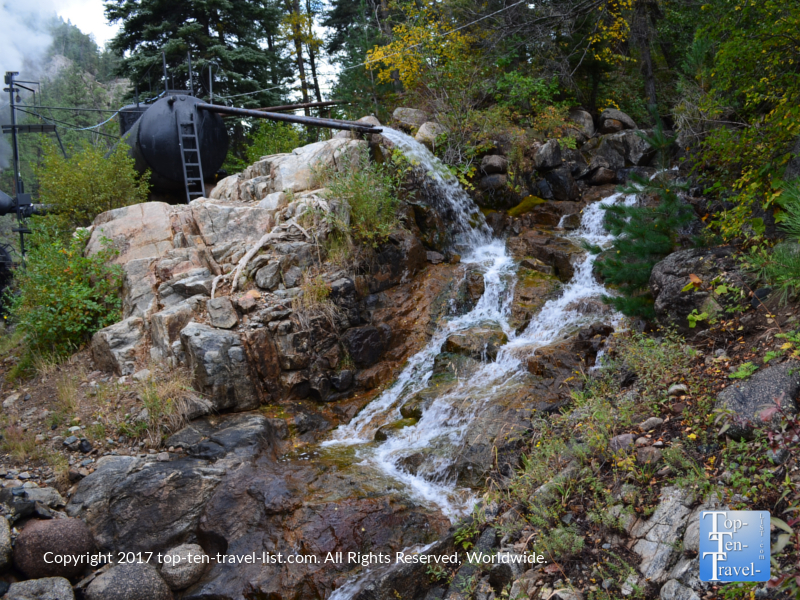 *Get to town at least a day before the train ride to allow your body to acclimatize to the high elevation. 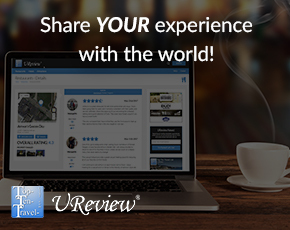 *Check Hot Deals for special discounts and promotions. *Parking tickets can be purchased online or over the phone with your train tickets. This takes out a bit of the hassle. *There is an airport in Durango, however, flights can be quite pricey. Also check into the international Albuquerque airport which is about a 3.5 hour drive. *Dress in layers. 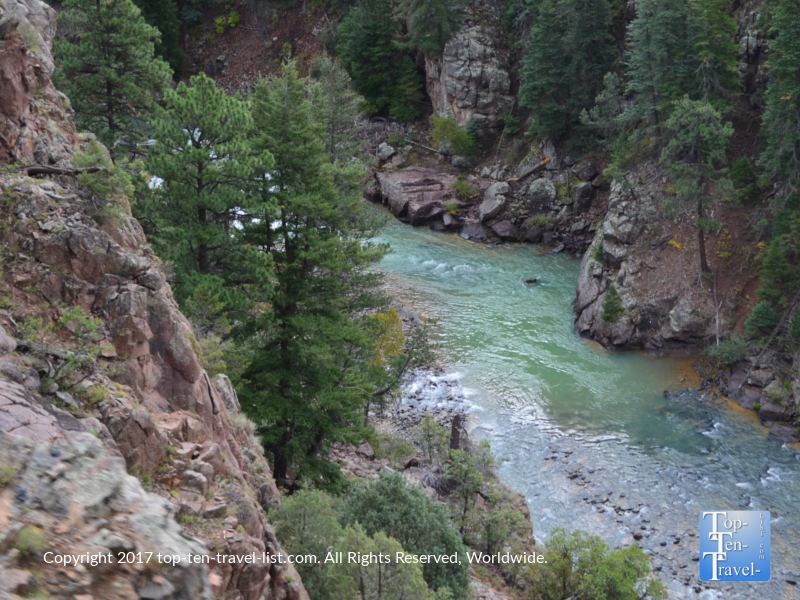 Silverton is located 3000 feet above Durango. You will feel the air gets much colder as you near the end of your trip. *Wear sunglasses. Durango sees over 300 days of sunshine, including mostly cloudless winter days.